Lemon Harangue Pie: Proof of Bigfoot Found on Mars! 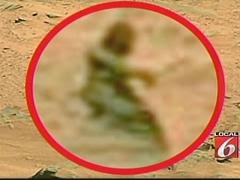 A mysterious "creature" has been sighted on the Martian surface. 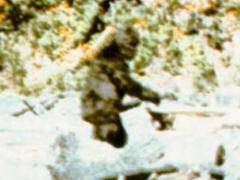 My theory: It's the ever-elusive North American Sasquatch. And I'm not the only one who thinks so. Really. The bottom line is that we're probably dealing with a technologically advanced society of planet-hopping primates -- which, if you think about it, would explain why we have such a hard time finding them here on Earth.